Тhe thing I often stumble upon, as a coach and consultant, is that many teams don’t track any metrics. Nothing. Ah, well sometimes the tool (like JIRA for example) tracks stuﬀ for them. But then they don’t look at it, don’t understand it (because they didn’t create it) or it’s broken due to lots of old tickets ﬂowing around. This fascinates me because it means that they don’t know how their process is performing. Also, it’s so easy to do. In fact, I argue that by counting the number of items on their Kanban board each day, they could gather a lot of interesting process data. If you are in a similar situation, it will help you improve, or at least see if you’re improving or not. 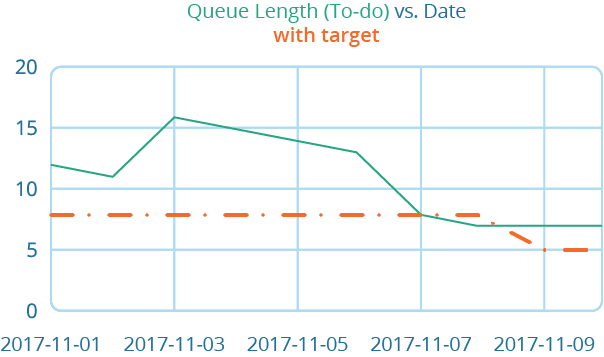 In this post, I wanted to share one of those metrics: queue length. We are not going to track data about our process. That is not what our customers are looking for. It’s a bit like tracking the RPM (Revolutions Per Minute) in a car. Sure it’s interesting to see how the motor is doing, but as long as I haven’t put a gear in, and is steering in the right direction… I’m not reaching my goal. What I’m saying is that we are going to talk about is a proxy variable. It’s showing us how our process is doing, which indirectly means that we are doing great (delivering value faster). But since we are not tracking the real value, we don’t know. We might be delivering crappy things fast. We need both process metrics and indicators of the true value we are delivering. Earlier this year, I read the excellent book “Principles of Product Development Flow“, by Donald Reinertsen. It is packed with advice and suggestions, and one that caught my attention was to track queue length. The book talks about physical products, mostly, but there are many learnings to be made in the IT business too. Queue length is so obvious really, but I have never tracked that as a separate metric before I read this book. By tracking queue length, we can understand how much work is locked in our process, in waiting stages etc. Note that, from the view of the customer, this work is actually in our process already. It’s part of the lead time of the work. Making our queues shorter is a very cheap and simple way to ensure that our work is ﬂowing faster. For example, if we only allowed for 4 items in the “To do” column of our Kanban board, work will not wait for long before we start it. If the column instead has 40 items, our customer will wait for quite some time. We can, of course, track queues anywhere in our process. Is there a queue for deployment for example? Or UAT? All of those places in our process could be worth considering. When I think about it: how about tracking the total number of items on our Kanban board, as the total queue of our development process? This is almost embarrassing to write: just count the number of items in the queue, we are interested in. Let’s for the sake of making this post easier to follow, just track the number of items in our “To do” column (or whatever you might call it). The process metrics that we track is meant to help us improve – we are measuring to learn. Individual numbers are not particularly good for that, so we want to track this over time. This is very easy of course as you just need to count the number of items in the column each day. After the morning meeting maybe? You can, of course, go old-school and just plot it in on a graph right on your Kanban board. I’ve often found that, at least, it is easy and useful. Also that it has the added beneﬁt of being ever present close to your board. A metric without a target will soon be forgotten. Add one by just drawing a line across the graph. Do this in your spreadsheet by adding a column with the target. Having just a column with repeated numbers is a bit crude but has the added beneﬁt of being able to change target and have the history displayed. I’ve shown that trait in the example below. 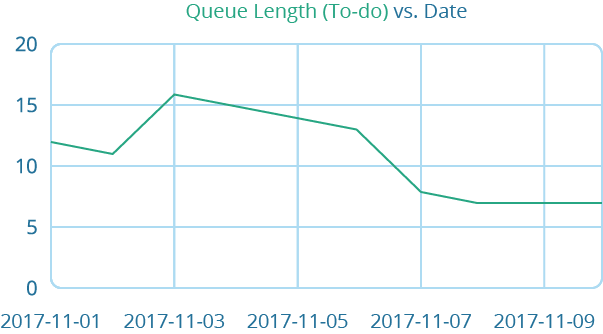 One ﬁnal trick that I used on one team to make the metric a bit more relevant and interesting is to track how long it would take to clean out the queue. Now you can start to see how long it would take to clean out the column if you didn’t add anything. Counting like this is not perfectly accurate since we’re not taking into account that you are only doing more than one thing at the same time. 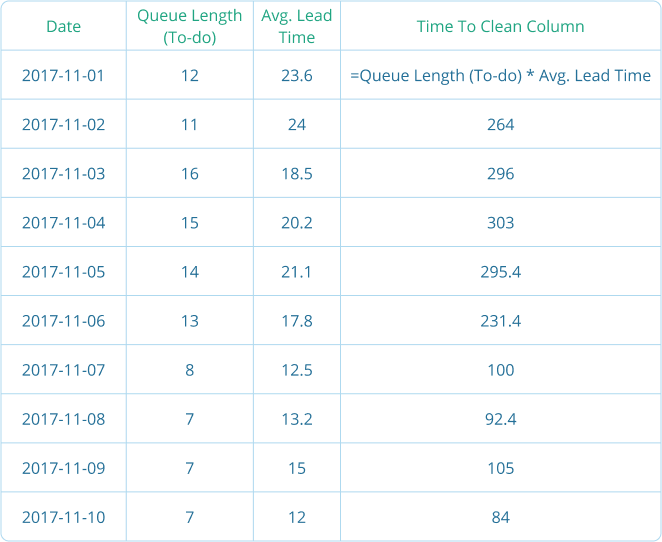 Shortening queues is a very simple and cheap way to reduce lead time and increase agility in your process. 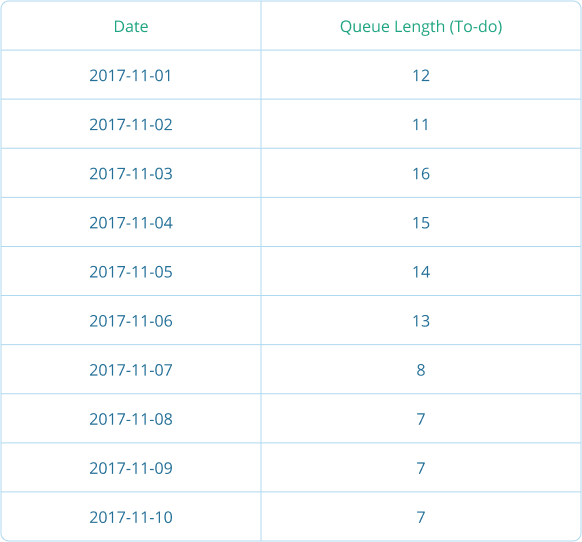 Tracking queue length is a very easy thing to do: just count the number of items in your queue each day. Use the data to make better, informed, data-driven decisions when you improve your process. In your retrospectives for example. 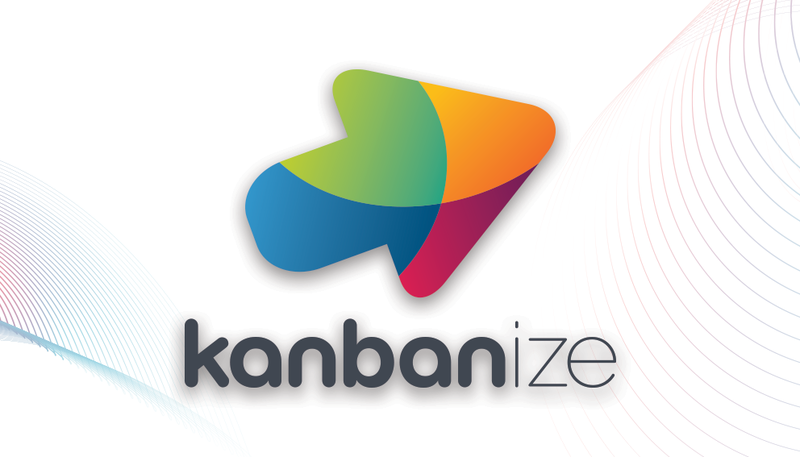 Till next time – happy kanban-ing! Marcus Hammarberg (@marcusoftnet) is a Lean & Agile coach. Get agile to work in practice – is his motto. This had led him to take interest in all kind of things: Kanban, Lean, TDD, Specification by example, Node, Continuous Delivery, Nancy, RiotJs, and Koa. He spent 2 years working for the Salvation Army in Indonesia to help the health services there to become more effective. He has written the book Kanban in Action and is writing another one, about the lean/agile inspired work we used to save a hospital in Indonesia. You can read more articles by Marcus on his blog. 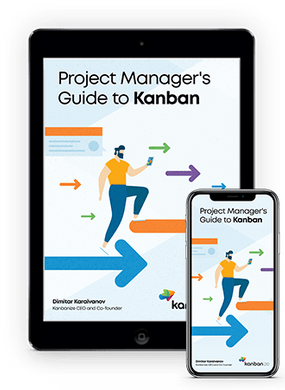 This entry was posted in Experts Speak, Kanban, Lean Management on December 6, 2017 by Alex Novkov.